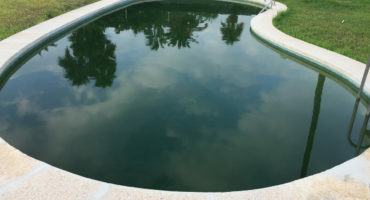 Before you start grumbling because we are starting to talk pools here, hear us out. We live in a cool climate here in the Albany, Troy, Saratoga Springs, NY area. Just look out your window and you can see the obvious evidence of that on the ground. But did you know that there is an amazing new heat pump that we can install for your pool from US Air Water Products?! Now, this will not allow you to keep your upstate NY pool open all winter but you can start your season early and end it later with one of these little beauties! 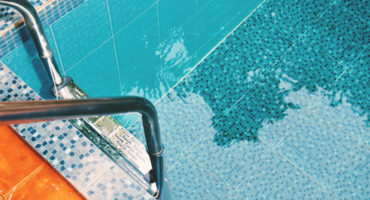 These pool heat pumps are built with the idea that US Air Water Products wants to provide you with the best heat pump for your pool hands down. Period. No matter what climate or region you live in they want to provide you with a pool heat pump that will help you enjoy your investment longer! These heat pumps all come with the same standard features. The only difference between the models is how many gallons of water they can effectively heat for you. So, what are the standard features you may be asking? Protected from the Weather UltraQuiet heat pumps are engineered to last. from non-corrosive, UV resistant materials. operation by maximizing airflow and minimizing vibration. the heat pump at a very rapid pace. cool to maintain the temperature you enjoy. titanium is impervious to harsh pool chemicals. And the best part is you can order yours now and have it installed as soon as you open your pool this spring! We are so very excited to be able to bring these amazing pool heat pumps to you and cannot wait to start installing them for you! If you are interested in knowing more, be sure to contact us today!